Number of persons in the household: The greater the number of persons, the greater the storage capacity required to achieve the same efficiency of fewer people under the same roof area. Per capita water requirement: This varies from household to household based on habits and also from season to season. 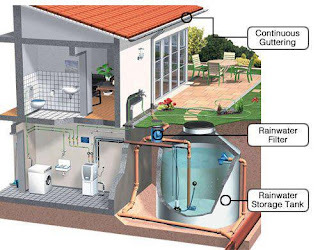 Consumption rate has an impact on the storage systems design as well as the duration to which stored rainwater can last. Period of water scarcity: Apart from the total rainfall, the pattern of rainfall -whether evenly distributed through the year or concentrated in certain periods will determine the storage requirement. The more distributed the pattern, the lesser the size. 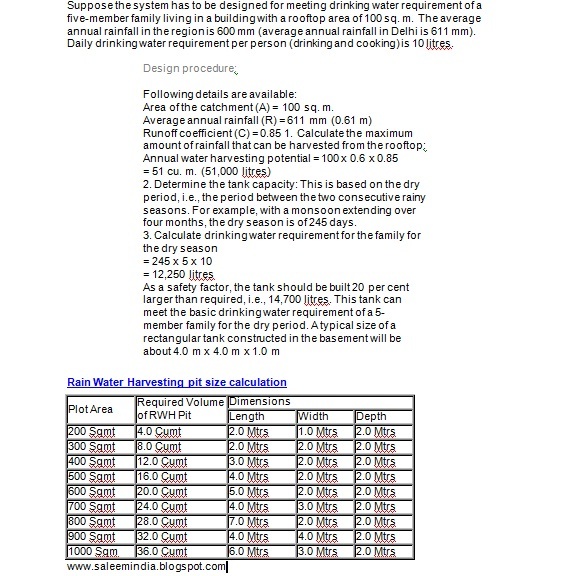 Type and size of the catchment:Type of roofing material determines the selection of the runoff coefficient for designs. 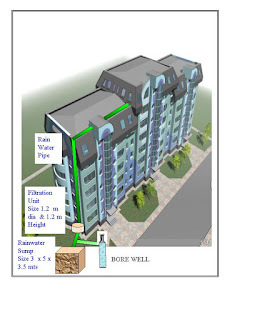 Size could be assessed by measuring the area covered by the catchment i.e., the length and horizontal width. 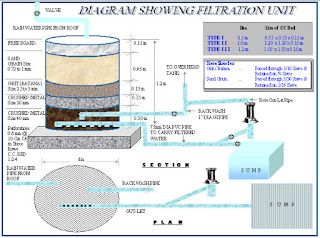 Larger the catchment, larger the size of the required cistern (tank). 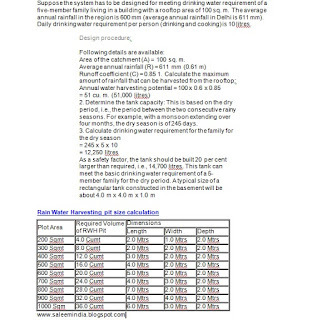 Choosing a tank size that is appropriate in terms of costs, resources and construction methods. 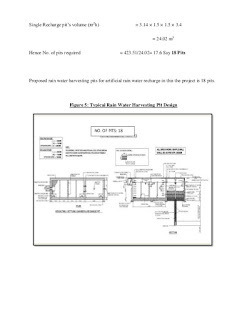 In practice the costs, resources and the construction methods tend to limit the tanks to smaller capacities than would otherwise be justified by roof areas or likely needs of consumers. 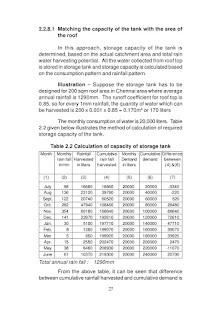 For this reason elaborate calculations aimed at matching tank capacity to roof area is usually unnecessary. 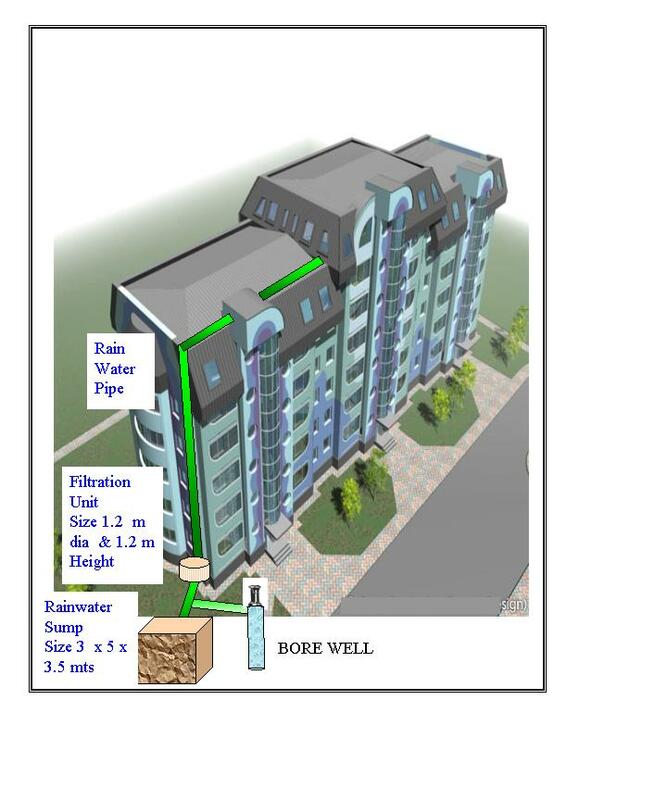 However a simplified calculation based on the following factors can give a rough idea of the potential for rainwater colection. 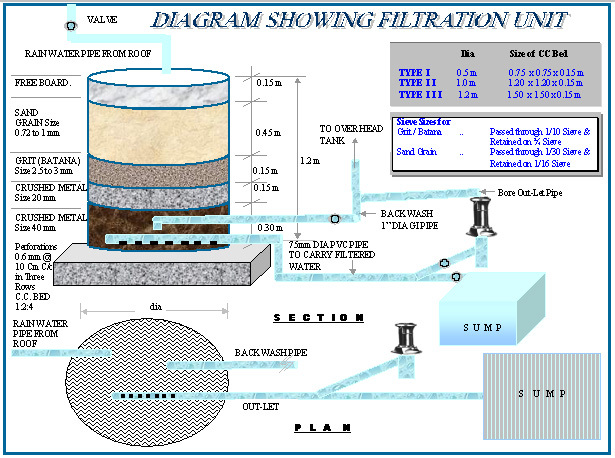 IllustrationSuppose the system has to be designed for meeting drinking water requirement of a five-member family living in a building with a rooftop area of 100 sq. 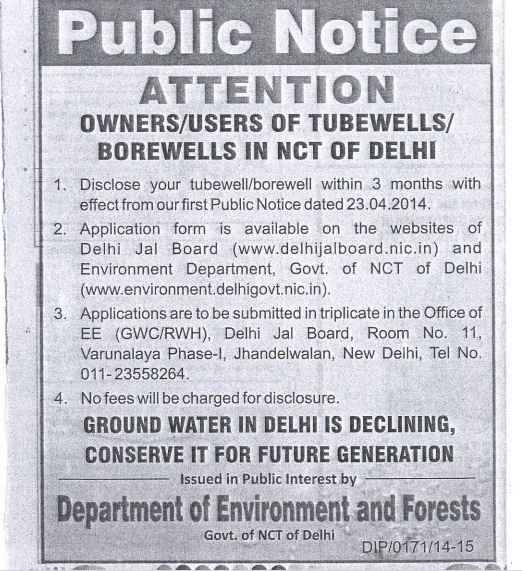 m. The average annual rainfall in the region is 600 mm (average annual rainfall in Delhi is 611 mm). 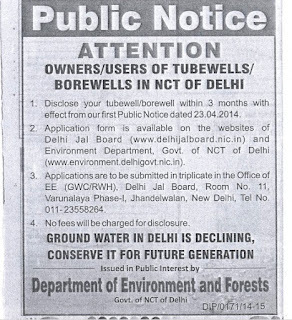 Daily drinking water requirement per person (drinking and cooking) is 10 litres. 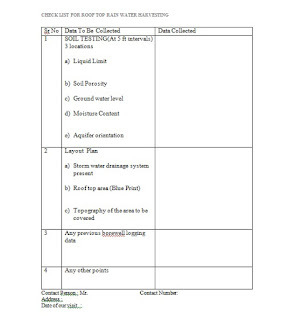 Area of the catchment (A) = 100 sq. 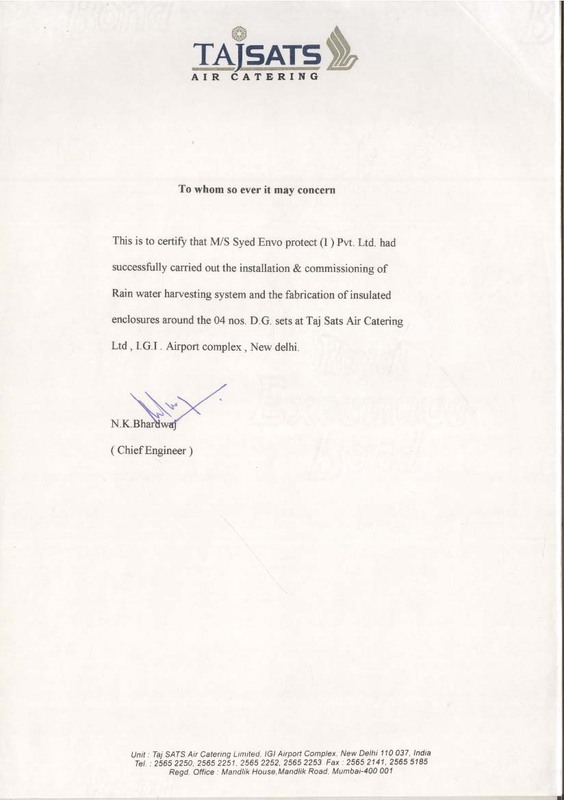 m.
2. 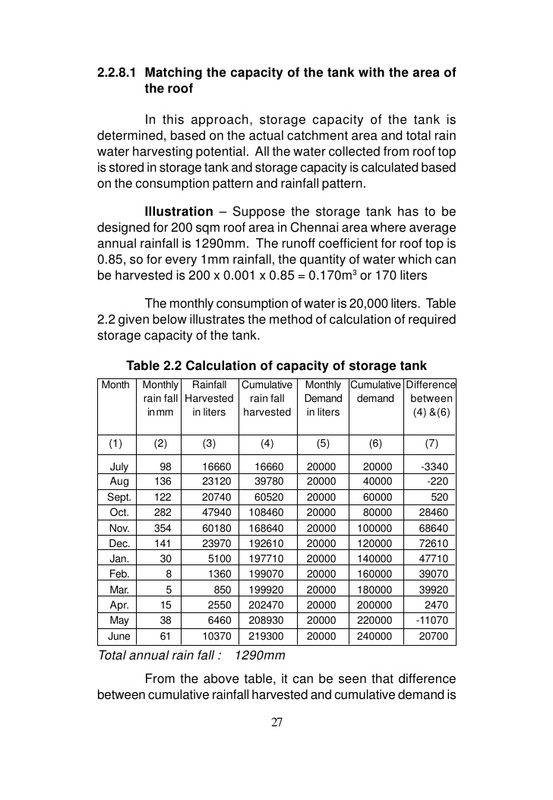 Determine the tank capacity: This is based on the dry period, i.e., the period between the two consecutive rainy seasons. For example, with a monsoon extending over four months, the dry season is of 245 days. This method does not take into account variations between different years, such as the occurrence of drought years. It also entirely ignores rainfall input and the capacity of the catchment to deliver the runoff necessary to fill the storage tank. 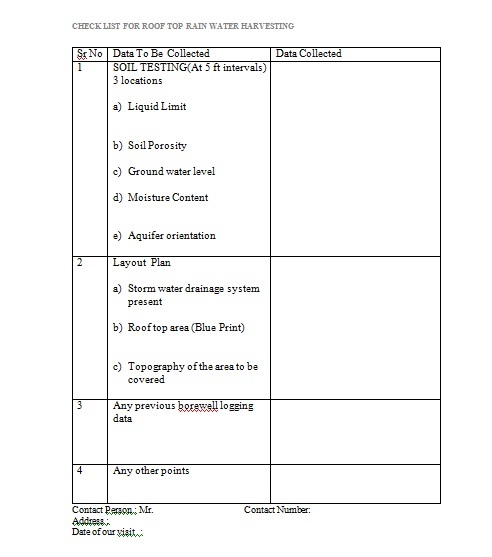 This technique can be used in the absence of any rainfall data and is easily understandable to the layperson.These points are especially relevant when designing systems in the remote areas of developing countries where obtaining reliable rainfall data can be difficult. 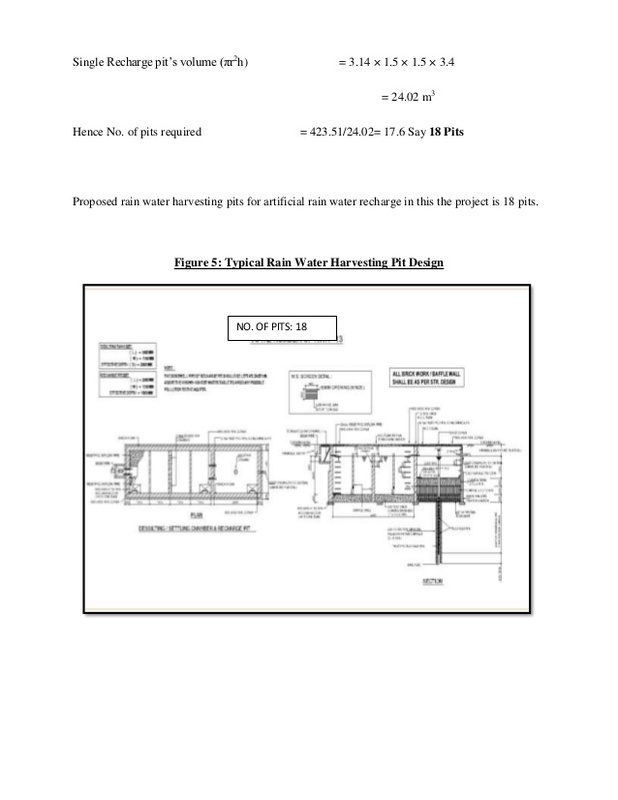 Thank you for your information regarding the calculation for determining tank capacity and water amounts. Also the part about seasonal rainfall amounts, dry season waas very helpful. I am in California and so there is no summer rain here. 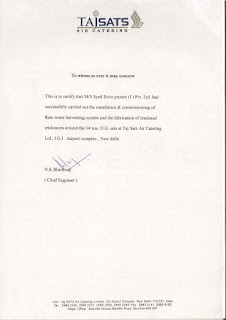 Storage Tank-Manufacturer, Supplier and Exporter of Storage tanks in Delhi, India provides water storage tanks, pressure vessel, hot water storage tanks, propane storage tanks, plastic water storage tanks, fuel storage tanks, cold water storage tanks and deals in all Delhi/NCR (Noida, Ghaziabad, Faridabad, Gurgaon and Chandigarh),India.